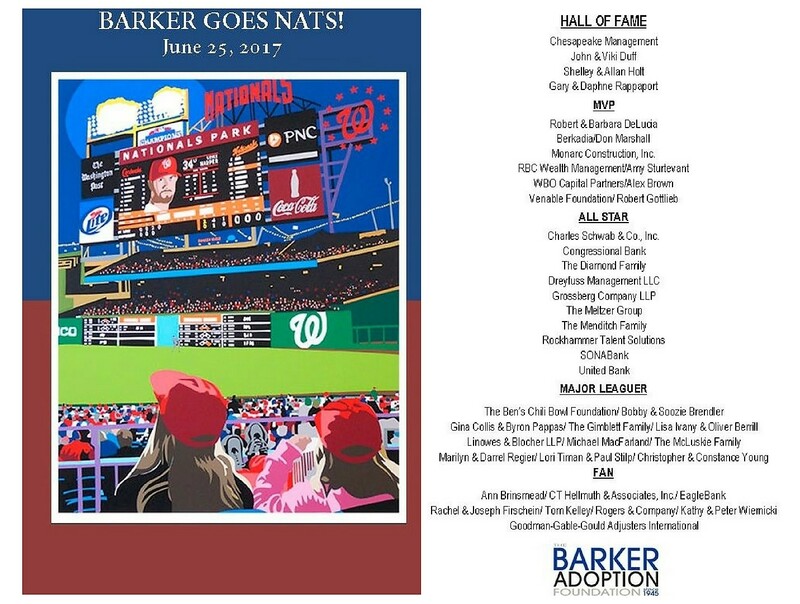 This year's “Barker Goes Nats!” fundraiser was a wonderful event. Barker family and friends had a great time mingling, enjoying delicious food and of course watching the game! We thank everyone for coming and especially our generous sponsors for making this event possible. Visit our Facebook page to view pictures from this year's event. Until next year!